Kartrocket is the India's smartest eCommerce platform with beautiful Store designs, Payment Gateway integration and Automated shipping. eCommerce System helps to manage orders hassle free with integrated shipping. Create an online store with India's best eCommerce software with beautiful designs, free payment gateway and much more. 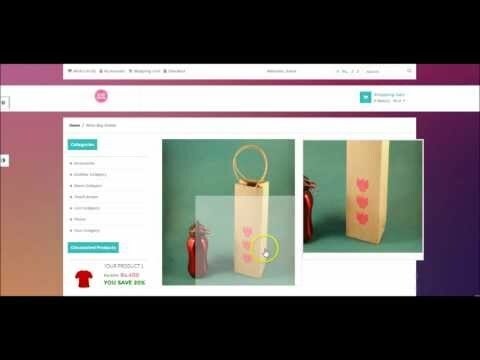 KartRocket is not just a website builder platform, it’s an end to end eCommerce solution with all the features you require to create an online store, run & grow your online business. Their unique services include free payment gateway integration, stunning ecommerce store with mobile responsive designs, mobile app to manage your store and automated shipping solution. KartRocket supports multiple marketplace integrations enabling you to easily sell on other eCommerce platforms. Grab the attention of your visitor as soon as they enter the landing page, by showing multiple banner slideshow, showing more than one message (discounts & offers) and enjoy better CTR. Put a cap on the maximum and minimum number of products to be ordered in a single transaction. With this feature, you can waive out any losses, especially during any discount or promotional offers. Create and manage customer groups based on location, product interest and last purchases. Further you can use these customer groups to offer specialized discount and offers, valid just for this group. Accept payment in any currency. Simply enter your price in Rupees and KartRocket will auto-convert them into popular currencies around the world, depending on the user’s location. Shipping hassles? Not anymore. We offer you complete order fulfillment software, Shiprocket, through which you can ship anywhere in India using India?s best courier companies, at affordable pricing. Enjoy a new way of direct selling ? Easily Sell on Social Channels like Facebook, WhatsApp, Instagram etc. With our seller app, you can share your product with a direct payment link for instant sales. Optimize your online store for Local SEO so that your audience can search your store and its location. Just enter your store details like name, address, etc and local SEO microtags will be implemented, making it Local SEO ready. Manage your online store on the go with KartRocket admin app. This app will help you to access your store?s admin panel where you can add new products, process orders, manage inventory, track orders, etc. KartRocket Multivendor Feature allows you to transform your store into a marketplace with different vendors selling their diverse products on your platform. The admin can set the per sale commission chargeable on the vendors. With different functionalities, it becomes easy to manage and review the merchants, without any hassle. Start your online business with faster and dynamic website as KartRocket is India’s first SaaS based eCommerce platform to offer Akamai services to all their clients at no additional cost. KartRocket provides a power packed end to end do-it-yourself ecommerce platform uniquely built for India. With KartRocket, Indian SMBs can launch their web and mobile ready stores with best designs, built-in shipping, payment and multi-channel sales integration. Q. How Should I Get Started? Q. Can I Create An Online Store Like Flipkart Or Snapdeal? This facility is not available on KartRocket platform. In any marketplace, there are separate back-end for different vendors; whereas KartRocket offers you a single back-end access. So, you can source products from various vendors and sell on your KartRocket store, but you cannot give multiple access to your store admin panel. Q. How Much Time Will It Take To Setup My Online Store? That depends upon your store setup requirements and catalog. On an average, a store is setup between 15-20 days of sign up, including website, cataloging, payment gateway and logistics. Q. What is Go Live Support? In order to help you create online store on KartRocket and make our panel more familiar with you for future use, we offer you 30 days Go Live Support (in Professional, Unlimited & Enterprise Plans). For these 30 days, a Project Manager will be allotted to you, who will provide complete assistance in website creation, payment gateway integration and resolve your queries in no time.